Dune HD is one of the most respected middleware developers in the media player scene. By exclusively restricting themselves to Sigma Designs, they have managed to produce an enviable lineup of media players coveted by many people. It was not much of a surprise, then, that their latest offering, the Dune HD Pro received a CES innovation award. When it was announced in late fall last year, the unit was a silver colored monolithic design. In the space of a few months, it has undergone revisions to become more of a modular design. is a NAS system with 4 bays and a touchscreen based control unit. Unfortunately, I couldn't play around with the system because the display was running a canned video, and the unit was just showcased without being powered on (at least in the time that I was at the booth). The main unit comes in at $1900, and I was told by the Dune rep that the rest of the pricing wasn't fully decided yet. At around $2000, it is difficult to justify the purchase of a media player for a majority of the consumers out there. Hopefully, a lower cost version (with just the SoC, couple of USB ports, wired Ethernet, SPDIF optical out and HDMI 1.4a output) will come out soon. Much has been said about the SMP8910 and its VXP video post processing. I won't go into the details in this piece, but suffice to say that a large number of users are waiting for the SoC to make an appearance in shipping products and believe that only the premium features offered by the SoC can save the local media streamer market from its current rut. The Cinavia behavior with that SDK wasn't the same as that of the PS3. Since the SDK is quite immature, not much can be inferred from the current state. However, Cinavia is a threat that Dune is perfectly aware of. It will be quite interesting to see how it is handled. 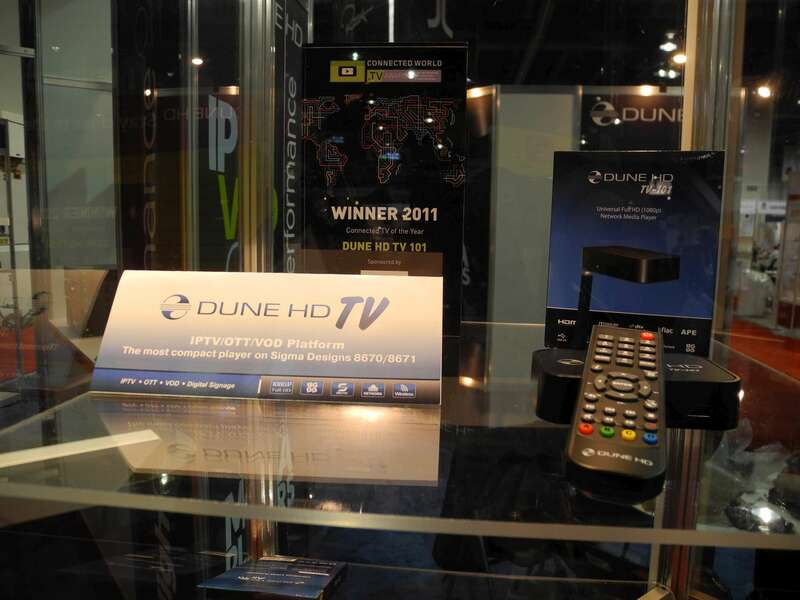 At CES, Dune also showcased their IPTV platform (Dune HD TV-101/301) which looks very similar in form factor to the WDTV Live SMP and is targeted towards the same market. In the US, the WDTV Live SMP is well placed, and I believe the Dune HD TV series will find its feet in other markets. Partnerships with THX and Vudu have also been made public. You can read all about that in the official press releases [1 ] and . It is highly possible that one may be able to watch Vudu in HD on the various Dune units (based on the SMP8642) already in the market. 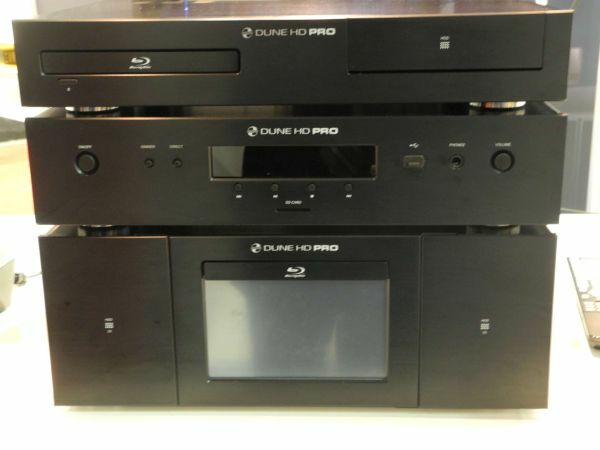 Dune also confirmed that the current lineup (Smart series, HD Duo and HD Max) would remain in production and continue to use the SMP8642. There are no plans to shift to a SMP8646 model unless Sigma Designs decides to completely stop shipping the SMP8642 before the SMP8910 lineup takes off. There is no firm shipping date set for the HDI Dune Pro, but a large number of media streaming enthusiasts (including me) are waiting in anticipation just to see how good the SMP8910 is!